It's been a few days of posting photos that look largely the same, and I'm about ready to lay down a coat of primer. Unfortunately, the walls are not as ready as I am, but we're very close to being in synch on this one. 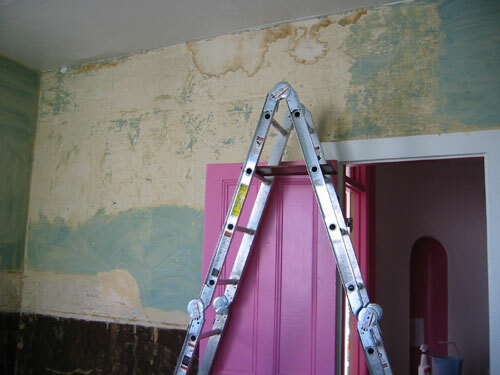 This morning I resumed work on the removal of 100-year-old wallpaper paste. It was a labour of love, I assure you. It was almost 9pm when I completely finished washing the walls to the point where I could start to patch them. 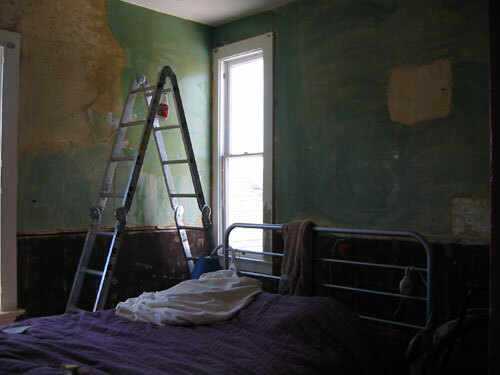 Patching is pretty fast work, but I'm pretty tired, and going up and down the ladder is excrutiating. So when I stopped work for the night ten minutes ago, this is about the progress I had made. There's one more wall that's almost entirely patched up, out of the frame, but I still have two walls worth of work to finish tomorrow morning. 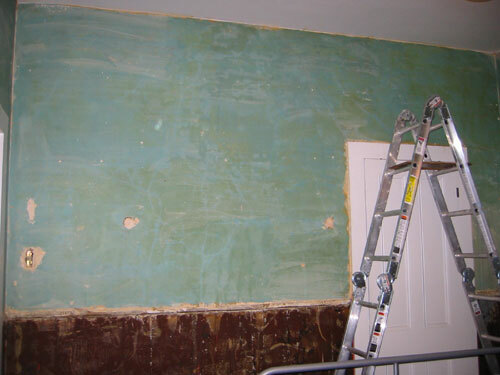 Fortunately, the worse of the plaster patching was on these two walls, and the rest is just filling nail holes. 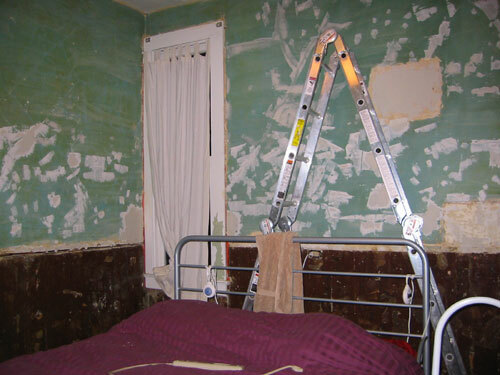 Tomorrow: finish patching plaster and sand in the morning. In the afternoon, Noel should be back and he can help me put down a coat of primer.